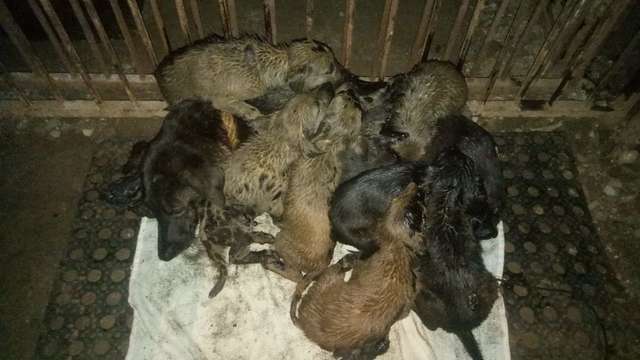 In India, a group of puppies huddled together to stay safe and warm when something unthinkable happened: a barrel collapsed on them. The barrel was full of stick, thick tar and it covered all the puppies. They couldn’t breathe or move, and they began to whimper. Luckily, after eight hours of this stick situation, a good Samaritan heard them and came to their rescue. The word got out about the predicament and people gathered to help the puppies covered in the toxic substance. Someone called the Humane Society International of India, also known as HIS. 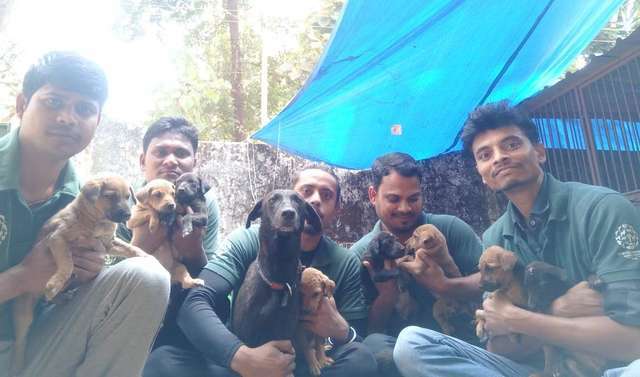 Some rescuers drove over two hours to help and were amazed to see the locals had already begun to help the little puppies. 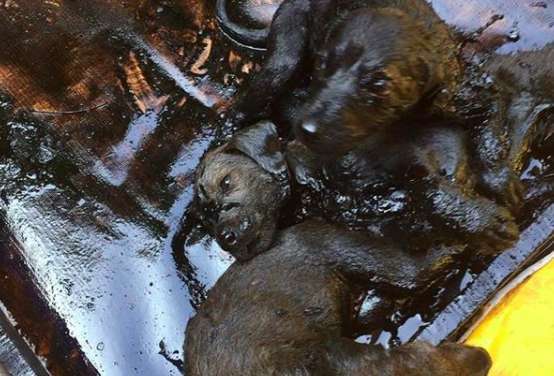 The locals had saved the puppies, who would have died by being trapped in the tar and breathing in the toxic fumes. 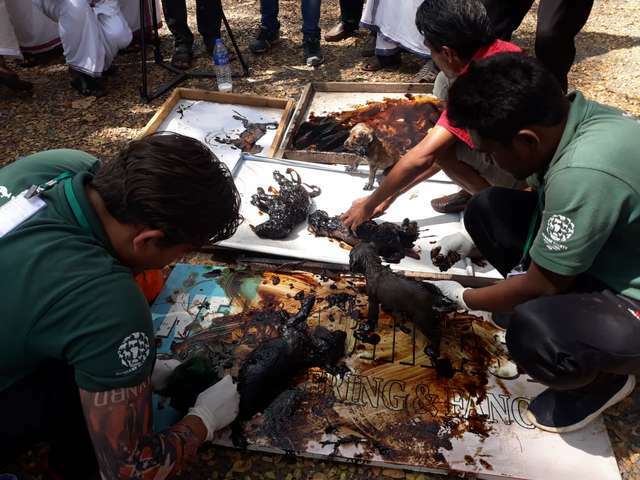 The tar was in their eyes, mouths, and noses, so rescuers came at just the right time. But soon the puppies were clean and free from the tar, but they still needed more help. 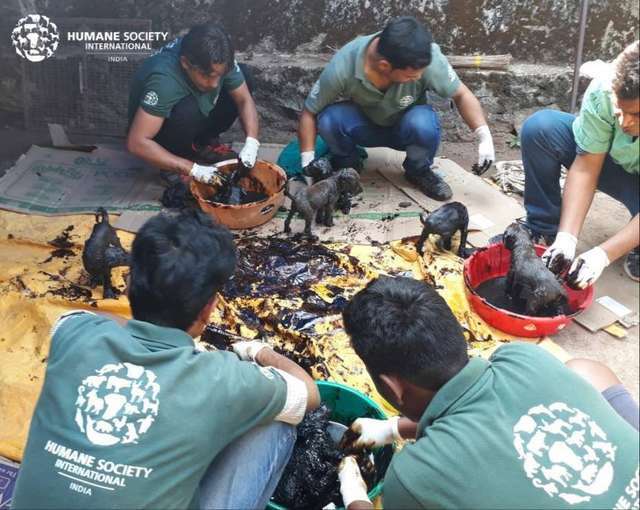 Rescuers from HSI brought the puppies back to their facility and kept cleaning the puppies with vegetable oil. The puppies were finally free and clean and then they were reunited with their mother, who was so relieved to see them again. The hungry puppies were able to feed from their mother and all was right in the world for those little puppies. After all they have been through, the puppies are now thriving in the HSI facility with their mother. It will take some time, but the puppies are all going to survive now that they have a safe, warm place to stay and live. The plan is to keep the puppies and their mother at the facility for a few weeks so they can fully recover, then return them to their original home so the anxious locals can help care for them.